Pagels, Elaine. Revelations: Visions, Prophecy, and Politics in the Book of Revelation. New York: Viking, 2012. 246 pp. $27.95, Hebrew Bible; Kindle $12.99. 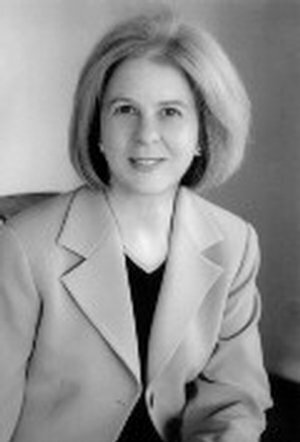 Elaine Pagels is well known for her books on Gnosticism. Popular media has covered the release of this book, including a nice interview on NPR and a NY Times review. This book is selling quite well, making it to number ten on the NY Times bestseller list for hardcover non-fiction on March 25. That Easter is right around the corner may account for this media blitz. Only the first two chapters concern the book of Revelation directly, the rest of the book deals with “other Revelations” or the way in which the Book of Revelation was used (and abused) in the first three centuries of the church. She describes Revelation as the work of an unknown John, living on Patmos, who has witnessed both the fall of Jerusalem in A.D. 70 and the growing persecution of Christians during the reign of Domitian. But the threats are not just from Rome, the church is beginning to deal with defections from the apostolic traditions, “heretics” are beginning to influence congregations. The book is therefore John of Patmos’ condemnation of Rome as a “great whore” and the heretics as “Jezebel” or “Baalam.” Those who accommodate themselves to Rome are “accomplices in evil” (35) and they must be rejected by those who are practicing the faith properly. So far, so good. I am (already) convinced that John is writing at the end of the first century, that his visions include imagery from the Fall of Jerusalem and that he is reacting to the increasing persecution by Rome by looking forward to the coming of Messiah to put an end to Rome. What is more, I think that Pagels is on the right track to emphasize John’s condemnation of the “heretics” as a major component of the book. She rightly points out that the word “antichrist” appears in 1 and 2 John to describe teachers with an errant view of who God is, although the idea of false-messiahs appears elsewhere. Revelation is in fact a politically charged book which does call on God to destroy Rome in a final judgment of apocalyptic proportions. However, I do have a few criticisms of the book. Pagels does more speculating in the book than I think is necessary, creating a world which is plausible, but may not have actually existed. 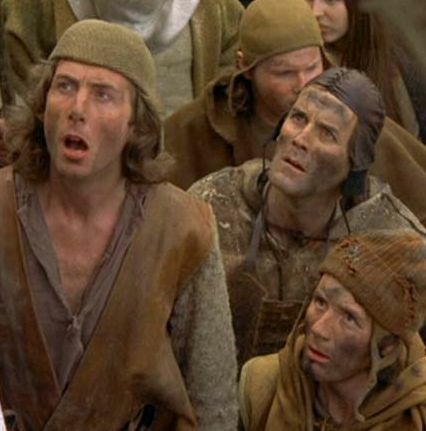 For example, who are the “evildoers” who are subverting the gospel for some sort of new religion? For Pagels, it is the Pauline Gospel which John has in mind. John represents a form of early Christianity which remained in Judaism, Pagels describes Paul as creating a new religion which “adapted Jesus message for the Gentiles” and was therefore “in effect a new religion” (65). Those who “tolerate other gospels” and claim to be apostles are coming from “Pauline circles” (68). 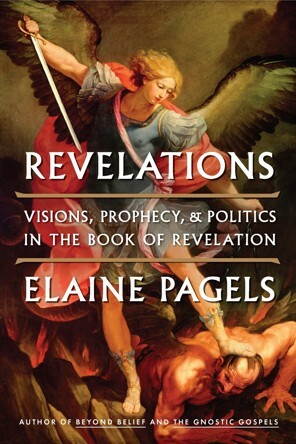 I am in complete agreement with Pagels that Revelation is one of many books which might be described as apocalypse, but I disagree with the way she mixes 4 Ezra, a well known Jewish apocalypse with the Revelation of Zostrianos or the Revelation of Peter. In her third chapter she compares her reading of Revelation with these three books without really distinguishing between 4 Ezra as a Jewish text and the others as Christian (or quasi-Christian). Both Revelation and 4 Ezra create a kind of Theodicy, explaining how God will deal with evil in the world (albeit from different perspectives). While 4 Ezra is an excellent parallel to Revelation since the date and circumstance is similar, the Revelation of Zostrianos has little which can be described as “similar” to Revelation in either circumstance or content. Bentley Lyton’s edition in the ABRL suggest a date before 268, Pagels suggests a date about 50 years after Revelation. Bentley points out that there is no reference to either Judaism or the founding of Christianity in Zostrianos, suggesting a non-Christian origin, perhaps with an interest in astrology. Andreas Werner suggests a late second or early third century date for the Apocalypse of Peter. Like Zostrianos, it is difficult to see many (if any) parallels to the book of Revelation. To lump these two Gnostic gospels together with 4 Ezra is not appropriate, to say that they are the same kind of literature as Revelation completely misses the point of Revelation in the first place. In addition, there are a number of places in the book where rather strong assertions are made which have no basis in an ancient text. The idea that“Christians throughout the Empire read and treasured” (72) the Gnostic gospels cannot be maintained in the light of evidence. The content of the books found at Nag Hammadi cannot be described as mainstream, nor can they be described as “treasured” by Christians everywhere. In the fifth chapter Pagels speculates about how a test like the Letter to Rheginos or the Secret Revelation of James might have been used as devotional literature in the early monasteries in Egypt. The image of simple monks gathering to read a few lines of these books before a sacred meal (153) is pure fantasy, based on a marginal note by a scribe. We simply do not know how these texts were used or by whom. As with her other books, Pagels implies strongly that Athanasius and Constantine were behind the exclusion of the Gnostic material, suppressing books which were not orthodox and only endorsing books for the canon which were deemed acceptable by the then-dominant Catholic church. I have no great love for Athanasius, and I am certain Constantine was a political opportunist using the church to gain control of an empire. But to describe the suppression of books like Zostrianos was silencing a critic who was within the church. This sort of literature was well out of the circle of orthodoxy. The way she tells the story, Athanasius is a book burning fundamentalist out of Margaret Atwood’s worst nightmares, while the Gnostics were the open minded peace loving “real” believers. I might be overplaying that a bit, but not my much. Is this book worth reading? Yes, but the first two chapters (which actually deal with the book of Revelation) are far better than the last three. It seems to me there is too much in Pagels’ book which is speculation stated as fact, and not particularly good speculation at that. One of the frustrations reading the letters of John is the John’s rather stark, black-and-white view of the world. 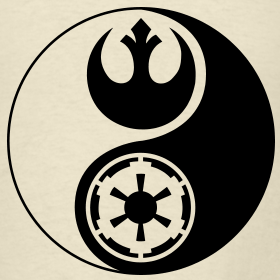 He begins in 1 John 1:5 by stating that “God is light, and in him there is no darkness.” There is a “polarity between God and ‘the world’” (Jobes, Letters to the Church, 415). There rest of the letter is filled with similar contrasts – one either walks in the light or walks in the darkness. One either does not sin, or one continues in sin. The first chapter of the book can be read as saying there are two types of people in the world, those who have been enlightened (the Christians) and those who remain in the darkness (the non-Christian). That is true, of course, but for Christians who have read their Paul, it is hard to imagine “the one who does not sin.” Romans 6-7, for example, describes the struggle of the believer who was a slave to sin and is now a slave to righteousness. Even our own experience seems to make the sharp black/white dualism of John difficult to understand. 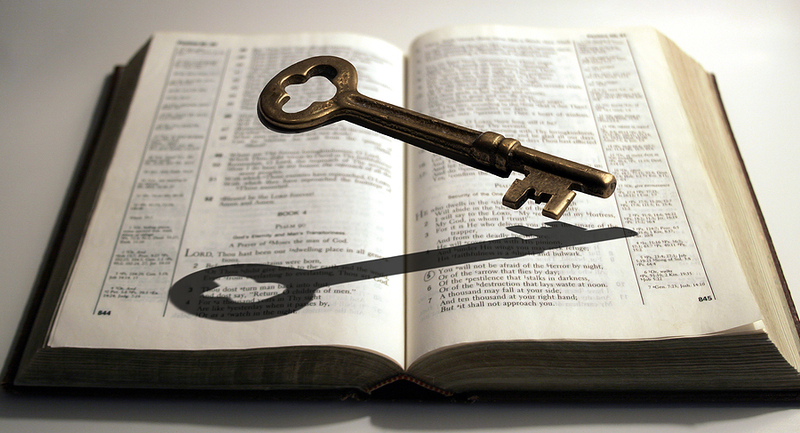 Was John the Disciple Whom Jesus Loved? Neither John nor James appear in John’s Gospel, which is unusual since they are the only disciples features in the synoptic gospels other that Peter. In the Gospel of John, many of the other disciples are given a more clear role in stories where they had been anonymous. For example, in the feeding of the 5000, we are told specifically Philip and Andrew are the disciples who spoke to Jesus about the crowd and the impossibility of feeding such a large crowd (John 6:5-9). John’s gospel also features a character who is never named, but rather is called the “disciple whom Jesus loved.” Traditionally, the “the disciple whom Jesus loved” is John, the son of Zebedee. 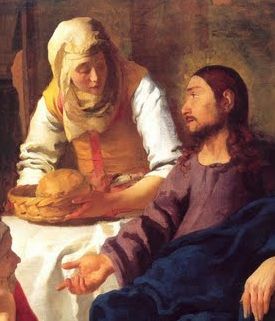 The “the disciple whom Jesus loved” was at the last supper (13:23), and in the Synoptics we are told only the disciples joined Jesus for the Passover meal (Mark 14:17). This places the “the disciple whom Jesus loved” within the inner circle of the twelve. In many of the passages that he appears he is linked with Peter (John 13:23-24; 20:2-9; 21:20), and cannot be any of the disciples mentioned by name in John 13-16. He is one of the seven who are fishing in chapter 21. This eliminates all the disciples except James and John, the sons of Zebedee, and two unnamed disciples. The “disciple whom Jesus loved” is likely not James, since he was killed by Acts 12, much too early to have written the Gospel. Thus the title “the disciple whom Jesus loved” is a humble indication that the author uses to identify himself. The only real candidate from among the group of twelve disciples is John, the son of Zebedee. While it is possible that the Beloved Disciple is not John, The fact that the Gospel of John is so concerned with eyewitnesses to Jesus that it is unlikely that the author could be creating this witness out of thin air. Who are the “Opponents” in Second Peter? 2 Peter was written in response to some sort of movement from within church which claimed to be Christian, but denied important elements of the faith. They have a overly-realized eschatology and seem to deny the return of Jesus (1:16, 2:1-3, 14, 18). While denial of the return of Christ may seem like a small deviation from the apostolic teaching, it is in fact a denial of the core of Jesus as Messiah, even the Jewish Messiah. This in turn could imply that the opponents reject the standard approach of the apostles to preaching as the Jewish messiah and perhaps a softening on the use of the Hebrew Bible as scripture. It is possible that 2:5-8 implies sexual immorality, especially since the comparisons to the fallen angels, the time of Noah and Sodom and Gomorrah allude to sexual sins. Even the allusion to Balaam can be seen as a sexual sin since Balaam used prostitution to entice the men of Israel. While someone might suggest that this is just standard heretic bashing, it seems that there is some substance to the charge of immorality since it appears again in Jude and Revelation 2-3. Gnostics. This view is often tied to a later date for 2 Peter primarily because Gnosticism is not a factor until well into the second century. It is difficult to describe a Gnostic theology because it was such a broad movement encompassing many different (and sometimes contradictory) themes. With the exception of a radical realized eschatology and sexual sin, there is little on this list present in 2 Peter. Paul deal with a rejection of the resurrection in 1 Cor 15 and there may be some hints at a realized eschatology in 2 Thess 2. Sexual immorality is too generic to be used to prove 2 Peter is dealing with Gnosticism. At best, Second Peter might be aimed at a sort of proto-gnostic doctrine. Epicureans. Neyrey suggested that the opponents in 2 Peter are teachers who combine Epicurean philosophy with Christianity. Certainly Epicureanism was popular in the Greco-Roman world, and there are some points of the school of thought that resonate with Christianity But Epicureans were not exactly hedonists, so this may not be a complete answer. Antinomians. Richard Bauckham suggested that the opponents in the letter represent some form of antinomianism (Jude, 2 Peter, 154-6). “Antinomian” refers to any theology which sees itself as separate from law. For the most part, this takes the shape of permitting (or even encouraging) sinful behavior. These behaviors are not matters of indifference, but rather genuine sin as defined in scripture. Because the believer is free in Christ, they are free to behave however they want, whether that is judged as immoral or not. The reference in 2 Peter 3:16 to Paul is important – the opponents are “twisting” Paul’s teaching in order to make it say something that was not intended. In my view, this is probably the best way to describe these opponents. They are post-Pauline Christians who have pushed the Pauline doctrine of freedom in Christ well past what Paul did. The opponents are therefore (in the words of Baukham), “theologically unaware Christians” who compromise with the world on ethical issues (156). This is the point of application to modern deviations from orthodox Christian theology and behavior. How do you deal with the person who claims to be a follower of Jesus yet behaves in a way which is clearly sinful? Do we “shun the unbeliever”? Should we accept them regardless of the sin? How does 2 Peter help with this problem? There have been a number of books on the relationship of Jesus and Paul published recently. For example, J. R. Daniel Kirk’s Jesus Have I Loved, but Paul? addresses the embarrassment of Pauline theology in some quarters of the church. It is well known that some scholars (primarily Jewish, but some Christians) consider Paul the “founder of the church” and not Jesus. James Dunn’s new book is a contribution to this conversation. This is a collection of nine essays connecting Jesus and Paul. Each was originally a paper delivered in 2008 and 2009 at various conferences celebrating Paul’s bimillennial year or other international seminars. Five of the nine chapters were addressed to Christian audiences, the other four to Jewish audiences. Part one contains four essays on the Gospels, although two of the four would be better described as Historical Jesus studies. Dunn presents a much abbreviated form of the main thesis of his Jesus Remembered in the first two chapters, showing that much of the gospels are historically reliable as true memories of what Jesus did and said during his ministry. He rejects the so-called criterion of dissimilarity which states that the things Jesus said which are not like later Christian theology are more likely to be authentic. Dunn’s point is that it is unwise to assume Jesus had no impact on the thinking of his followers, the source for “later Christian theology” is most likely to be Jesus. He includes a chapter on the value of John’s gospel for the study of Jesus. 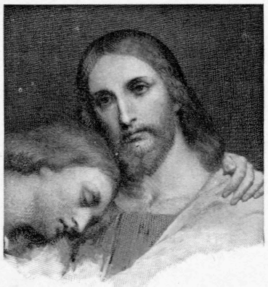 Part two is a single essay which argues that there is a close connection between Jesus and Paul. In this heart of the book Dunn tries to argue against the persistent characterization of Paul as a “second founder” of Christianity. This language is found as early as Wrede, but still turns up in more contemporary writers. Dunn lists several of the common contrasts one encounters in the literature: Jesus preached the Kingdom of God, Paul preached Jesus; Jesus’ message was primarily for Israel, Paul’s mission was to the Gentiles; Jesus was a local Jewish teacher, Paul was influenced by the religions and politics of his day. Dunn answers these objections by tracing several unique teachings in Jesus which appear in Paul as well. Jesus’ message was that God’s kingdom was present in his ministry, and that kingdom was good news for sinners and the poor. Likewise, Paul taught that God is justifying sinners now, and that this salvation is good news for Gentile sinners. These comparisons revolve around the “eschatological tension” – we are already saved but we are not yet saved. In addition, Dunn finds the foundation for ethics in both Jesus and Paul to be the same: the law of love. There is no “gulf” between Jesus and Paul, and Paul certainly did not corrupt the simple message of Jesus (p. 115). In general I agree with Dunn, but I think that the problem is defining “church.” If we think of the church as “what Paul was planting all over Europe in the book of Acts” (i.e., Gentile churches, not practicing the Law), then Paul has to be considered the founder of the Church “as we know it.” If by church we mean “those who are trusting in Jesus for salvation,” then Paul is not the founder at all since that type of church existed before Paul even recognized Jesus as Lord. Part three contains four essays on Paul. The first two concern Paul’s self understanding: just who did Paul think he was? This section deals with Paul as a Jew. Did he really convert from Judaism to Christianity? Dunn collects the data which shows Paul continued to live as a Jew, he is far from an apostate who corrupted Jesus’ teaching. This book is a good introduction to themes which are covered in much more detail in Jesus Remembered or Beginning at Jerusalem. The essays introduce ideas and hint at solutions, the details are in Dunn’s larger works. Even so, this is an enjoyable read for people interested in both Jesus and Paul.